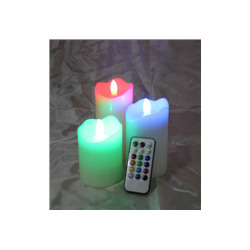 3" multi-function remote control RGB candle, with 18 keys remote control, each with one RGB led, with timer functions. 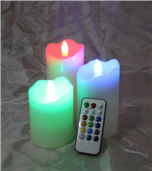 Battery: 3AAA( not included), sizes:4", 5", 6". remote control distance: 5 meters.